First developed by Michel Foucault more than thirty years ago, "governmentality" has become an essential set of tools for many researchers in the social and political sciences today. What is "governmentality"? How does this perspective challenge the way we understand political power and its contestation? 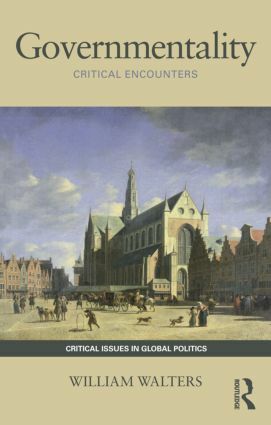 This new introduction offers advanced undergraduate and graduate students both a highly accessible guide and an original contribution to debates about power and governmentality (Publisher summary). Walters, W. (2012). Governmentality. Critical Issues in Global Politics. Routledge.